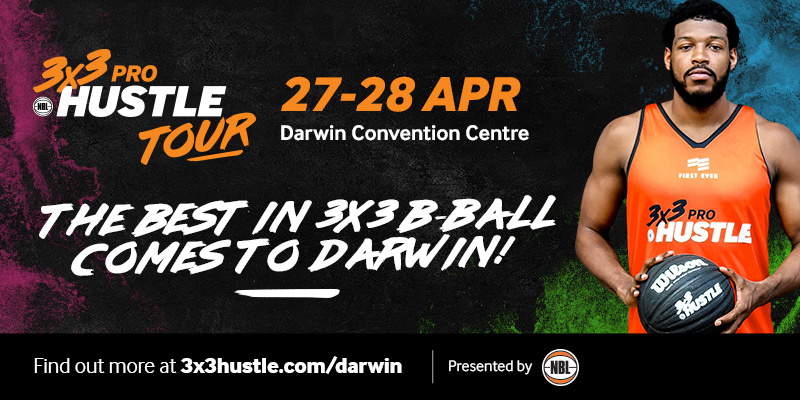 In amongst the sea of supplement samples and bronzed bodybuilders, the 3x3Hustle blacktop stood out like an oasis for hoops fans at the 2019 Arnold Sports Festival. 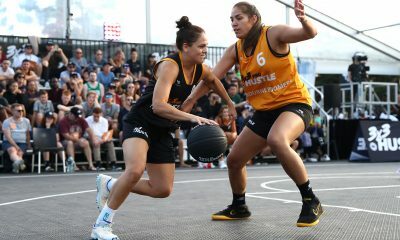 After a successful outing at Moomba Festival, the Hustle crew again teamed up with charity partner Helping Hoops to deliver another weekend of 3×3 basketball to the masses. 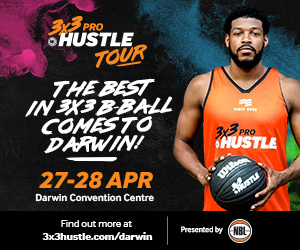 Basketball fans and neutrals alike flocked to the 3x3Hustle courts – with pick-up games and Helping Hoops skills challenges being the most popular activities for both kids and adults. 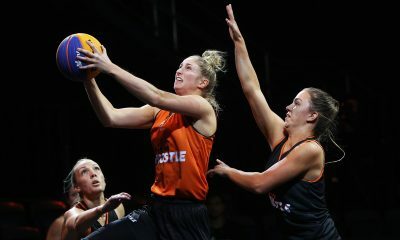 Two of Australia’s best 3×3 players – Maddie Garrick and Andrew Steel – stopped by on Saturday, showing their skills during a quick shootaround as they gear up for the 3×3 Pro Hustle Tour, which gets underway at the Melbourne Showgrounds on March 31, followed by stops at the Geelong Waterfront (April 12-14) and the Darwin Convention Centre (April 27-28). 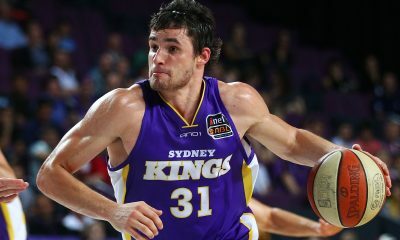 Steel and Garrick, who won Gold and Bronze respectively at the 2018 FIBA 3×3 Asia Cup, will look to cement their places in the Australian line-up, with strong showings in the 3×3 Pro Hustle Tour playing a key part in selection. 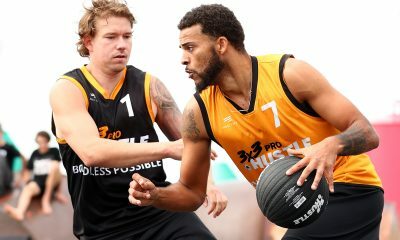 But, of course, it was the appearance of the great man himself – Arnold Schwarzenegger – on Sunday at the 3x3Hustle courts that brought the crowd to their feet. 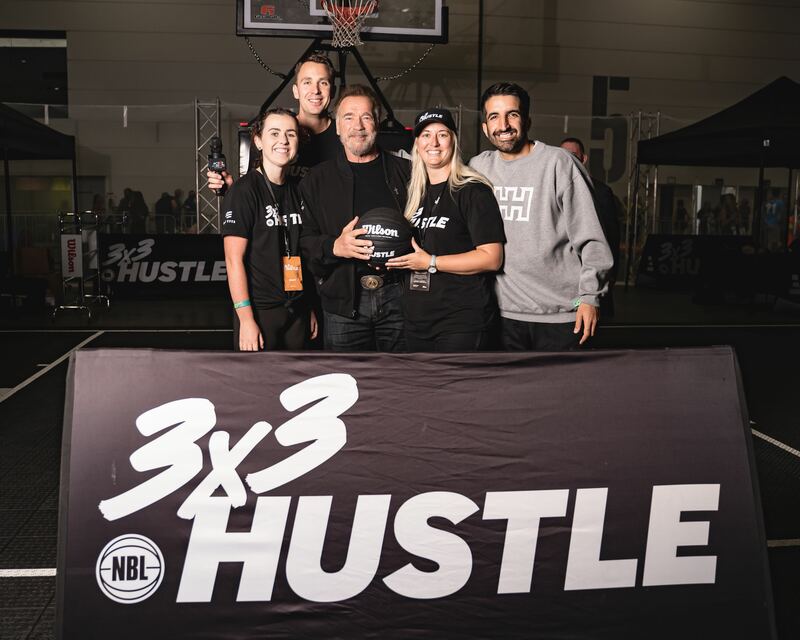 Arnold shook hands and took photos, and even tried his hand at shooting free-throws with the 3x3Hustle team! Schwarzenegger, 71, has done it all in his career, with the Austrian-American actors list of achievements putting most to shame. A filmmaker, businessman, politician, and former professional bodybuilder and powerlifter, Schwarzenegger returned to Australia’s shores for the fifth anniversary of the UPS Arnold Sports Festival Australia in 2019.